The Department of Health and Human Services (DHHS) and the Food and Drug Administration (FDA) have passed regulations regarding human subjects research (45 CFR Part 46 and 21 CFR Parts 50 and 56). DHHS, through its Office for Human Research Protections (OHRP), and the FDA also issue periodic guidance documents for institutions and investigators. Sections of the Health Insurance Portability and Accountability Act of 1996 (HIPAA) Privacy Rule at 45 CFR Part 160 and Part 164 are also relevant to IRB review of research. Questions regarding the regulations or guidance documents may be directed to (715) 847-2569. If you unable to access the Aspirus intranet to obtain a copy, contact the IRB Office (715) 847-2569. 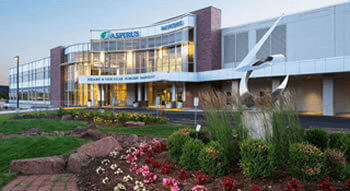 Aspirus Wausau Hospital has negotiated a document with the Department of Health and Human Services in regard to the protection of human research subjects. This document, called a Federal-Wide Assurance (FWA), assures that all of our activities related to human subject research will be guided by the ethic principles in The Belmont Report and will comply with the procedural standards at 45 CFR 46. The FWA requires that we have a formal mechanism for monitoring compliance, and that we establish a continuing program to educate IRB members, IRB staff, and research investigators about human subject protection requirements. The FWA names Aspirus Wausau Hospital IRB as the IRB responsible for the review, approval, and ongoing monitoring of human subject research activities conducted at or by staff of Aspirus Clinics & Aspirus Wausau Hospital. A detailed list of the terms of the FWA can be found at Federalwide Assurance (FWA) for the Protection of Human Subjects. The FWA number is FWA00002047.